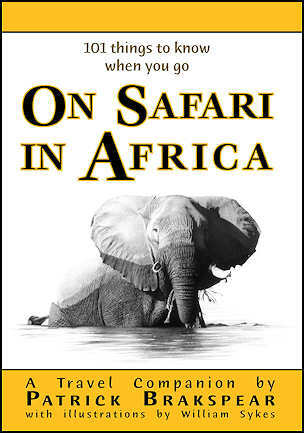 On Safari in Africa is unlike any other travel guide to Africa. This is not a "where to go, where to stay, what to see" style of travel guide, rather, it is more a travel companion that aims to pick up where your Africa Travel Specialist leaves off (and even acts as your safari guide along the way). Along with pre-departure infortmation, packing and travel tips it is also a comprehensive insight into the wildlife, landscapes, people and issues that surround the safari world. On Safari in Africa has been designed to illustrate just how you can get more out of your safari to Africa. The process starts with some background on Africa; provides a checklist of what you need to do before you leave home; takes you through what to expect on safari, including safari jargon and your safari guide; teaches you the nuances of learning to observe and question all that you see and hear; explains what we know about the habitats and animals you will encounter, their behaviour and physiology; provides you with a wealth of interesting facts about the wildlife; and introduces you to many other aspects of an African safari including birding, trees, insects and wildflowers and the night sky. A reference section contains greetings and useful phrases in a variety of African languages, photographic tips, animal checklists, spoor charts, country maps and finishes with a comprehensive glossary of safari terms and definitions. Order your copy today (see below). The REVISED & UPDATED version of ON SAFARI IN AFRICA is once again available in PAPERBACK from $29.99 (search on Amazon, or Barnes & Noble or Bokus) as well as an ebook for the Kindle from Amazon.com at only $9.95 or for the iPad from iTunes at only $9.99. I have thoroughly enjoyed 'On Safari in Africa'. This will be my second trip to Africa and on reflection, I only wish I had been armed with the fascinating info that is contained in your book prior to that visit. With your theme of the total safari experience - the smells, dust, sunsets, trees etc together with the animals, I feel as though I am much better prepared than the first time and I shall approach this trip with a different perspective. If it wasn't for the fact that 101 Things to Know When you Go ON SAFARI IN AFRICA is such an important book for travelers, and those that live in Africa, we would recommend you buy this book for the artwork alone. Rather than tackling the likes of Lonely Planet and Rough Guides by helping readers with the questions of 'where to stay' and 'where to go', this novel guide aims to enrich your time on safari.